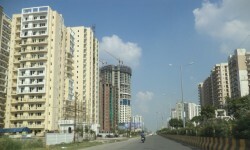 All states, except Gujarat, missed the October-31 deadline to operationalise the Real Estate (Regulation and Development) Act, 2016, which seeks to protect homebuyers' interests. 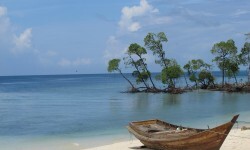 Meanwhile, the Urban Development Ministry notified the rules for Andaman and Nicobar Islands, Chandigarh, Dadra and Nagar Haveli, Daman and Diu and Lakshadweep. Under the revised guidelines for these union territories, real estate developers will now have to provide additional information to buyers about ongoing projects and deposit 70 per cent of the unused funds in a separate bank account to ensure project completion. For Delhi, the rules will be notified later. The 'Mangrove cell' of the Maharashtra government will demolish around 1,000 houses in this week for encroaching notified mangrove areas in Mumbai. The state forest department has already razed 4,000 illegal houses, which had encroached upon the government land. 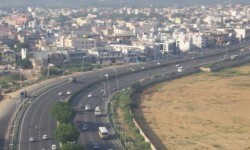 The ambitious makeover of Gurgaon's Golf Course Road into a 16-lane, signal-free expressway connecting the Shankar Chowk with Sector 55/56 will miss its second deadline, and it may not be ready till the middle of next year. To mop up revenue, cash-strapped Haryana Urban Development Authority (Huda) will for the first time auction residential plots in the city and allot them to the highest bidder. Earlier, the development authority used a lucky-draw policy for doing this. The present move is aimed at generating higher revenue.